Last weekend, I had the privilege of leading a group discussion about empathy and ways to foster connection and understanding at a time when many in our society feel we've reached a new us-versus-them low. Promoting empathy is but one way to counteract the vitriol, misinformation, and intolerance we seem to be experiencing daily on social media, in the news, perhaps even at the dinner table. 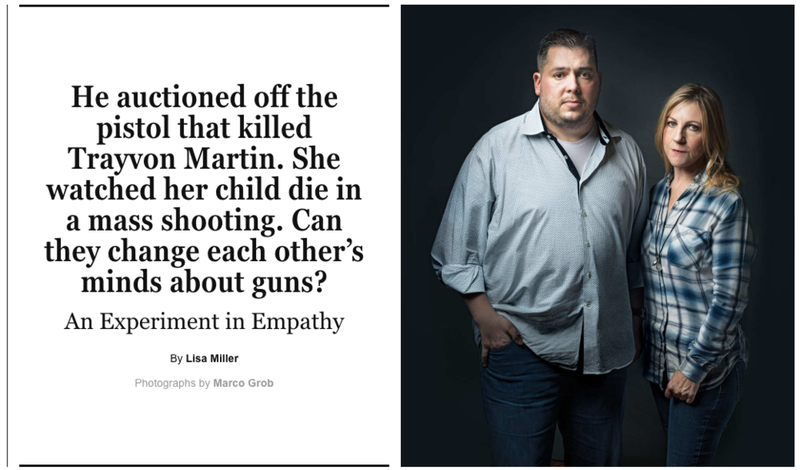 Empathy can serve as an antidote to bigotry and bias. When we walk in each other's shoes, it is harder to misunderstand—or, worse, hate—one another. "The single story creates stereotypes, and the problem with stereotypes is not that they are untrue, but that they are incomplete. They make one story become the only story...Stories matter. Many stories matter. Stories have been used to dispossess and to malign, but stories can also be used to empower and to humanize. Stories can break the dignity of a people, but stories can also repair that broken dignity." This speaks to the power of storytelling and the central role it plays in our lives. Stories allow us to make sense of the world, through symbols and plain meaning. They enable us to communicate complex emotions and interpret the feelings of others. Storytelling "involves a symbiotic exchange between teller and listener" and the stories we share are as essential to our lives as the oxygen we breathe. It is right, then, to improve upon—not diminish or detract from—our ability to tell them. Our job as writers is to tell a diversity of stories, to use storytelling for good, to hope for empathy as an outcome. Our work as readers is to resist the single story. To read widely. To empathize. What are your thoughts on the potential of stories to promote empathy? How has literature or the act of telling a story influenced you or made you more understanding of another's life and circumstance?